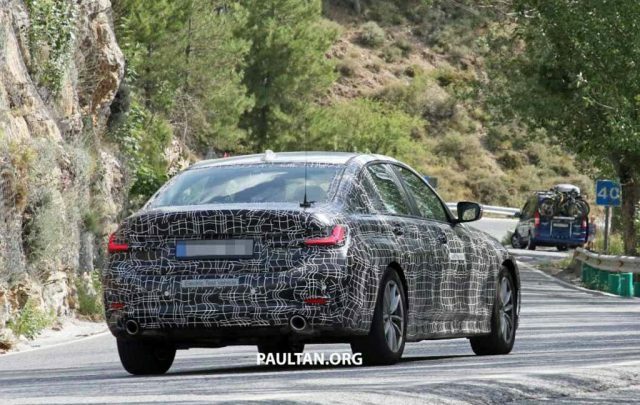 BMW has been testing the G20 3-Series for quite a while now and the latest spy shots emerged on the internet have given us a clear idea of what is in the pipeline. Its electric version has been spotted and will be launched as part of BMW expanding its zero-emission based vehicles lineup after the electrified Mini Cooper and iX3 SUV. 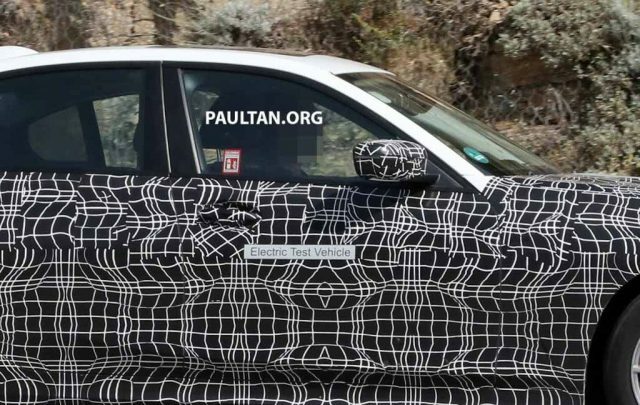 The cosmetic changes appear to be minimal or lesser to a point of hiding under the camouflage, especially considering that the headlight unit, taillights and fog lamps can be clearly seen. What has given it the EV label is the ‘Electric Test Vehicle’ tag on the driver side door section. So why would there be two round-shaped exhaust outlets at the rear you would ask? They are fake units according to the spy photographers and they added Tesla Model 3 was used a benchmark and part of the testing fleet. It is no secret that BMW has been aiming the lucrative EV market ruled by Tesla and this test mule is a living proof for that. The Tesla Model 3 is the entry-level hatchback from the American EV maker and is making waves for all the right reasons and being criticised for productivity constraints. Along with it, the upcoming Mercedes-Benz EQ sedan will act as another competitor, and needless to say Audi and Volvo will also get in the mix in the near future. By the middle of next decade, BMW is planning to sell 25 models with electric drivetrain and the EV derivatives of the entry-level are expected to form the volumes the company has been hoping for. 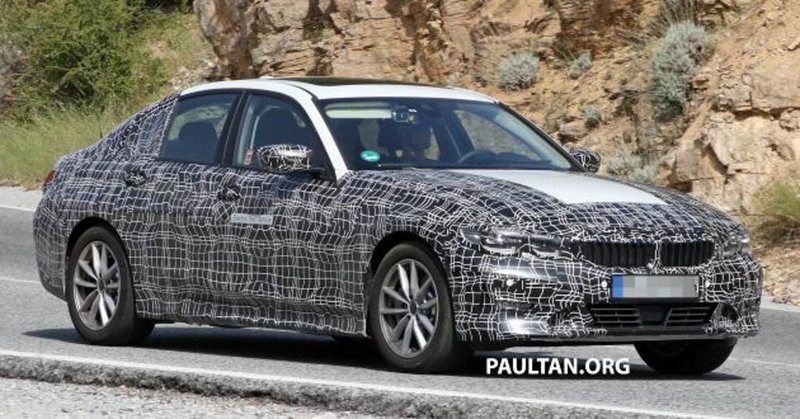 Technically speaking, the BMW 3-Series electric version will come equipped with next generation eco-friendly powertrain. It will be more compact in nature and offer higher driving range on a single charge. It will also be flexible and adopt to be used in other small or large models, enabling a concise platform rather than the very restrictive mechanicals used in the i3 and i8 that led BMW to have a rethink on them.